Welcome to The Woodlands by Fairport Baptist Homes, a retirement community uniquely designed for you. Our three-story apartment building includes 41 apartments, which are luxuriously appointed with open floor plans, modern kitchens with quartz countertops, full-size appliances, and individualized climate control throughout. Amenities are designed to be tailored to your needs. We offer an on-site restaurant with flexible meal packages, housekeeping options, in-home support services and priority consideration to our continuum of care. 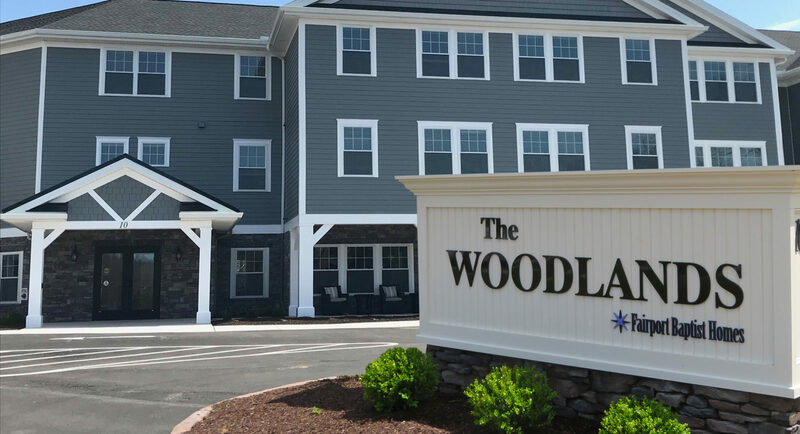 Central to everything that is Fairport, The Woodlands is a three story apartment building within the beautiful Stonebrook community of townhomes and cottages at 10 Stonebrook Drive. The location is conveniently located next to shopping at Perinton Square, Eastview Mall and Wegmans. The adjacent neighborhood has a post office, many restaurants/cafe´s and specialty stores and is just six minutes from the 490 highway. 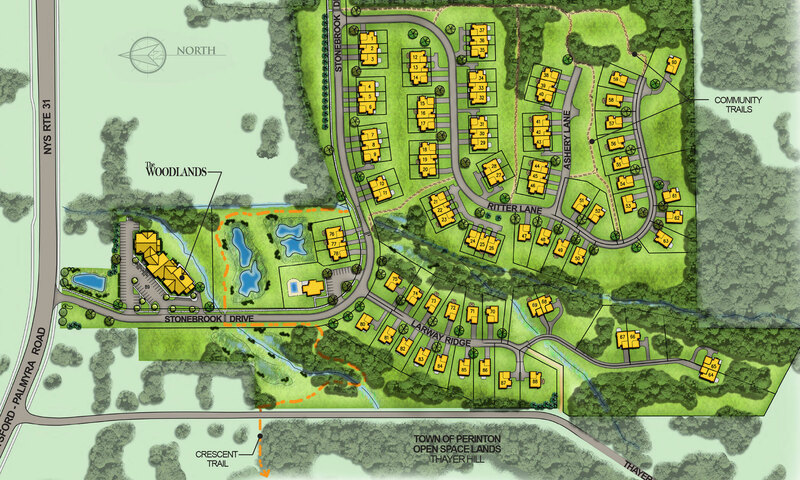 The StoneBrook Community is picturesque with 45 acres of tree lined land, 20.5 of which are forever green and 1.3 miles of nature trails which capture scenic northern vistas, rolling hills and serene creeks. Perinton’s Crescent Trail is just opposite the Clubhouse and leads to an additional 50 miles of hiking trails. The Trolley Trail which extends directly to the Village of Fairport is accessible through a network of sidewalks. I would like to receive Foundation news, newsletters, and notifications of upcoming events from The Woodlands by Fairport Baptist Homes. I agree, please add my email to your mailing list.